If you wish to highlight your products, services or ministry to our delegates, the CMA Conference is an exceptional opportunity to meet the decision-makers of Australian ministry. Please contact info@cma.net.au or phone 07 5545 2004 for an exhibitor pack - several opportunities still exist to be involved at CMA 2019. And register your interest early if you're interested in Brisbane 2020 (June 2-3) - it will fill fast! Alphacrucis College (AC) was established in 1948 and is at the forefront of equipping leaders for influential careers in Theology, Ministry, Business, Leadership, Teaching, Music, Chaplaincy, Counselling and Community Services. AC offers a diverse range of programs from certificates to PhD with campuses in every state in Australia and online. Ansvar is a leading risk and insurance provider for the Faith, Care, Community, Education and Property Owners sectors in Australia. Owned by a charity, we are an ethical insurer committed to our community. We contribute up to 10% of annual profits through our Community Education Program grants, assisting organisations to run initiatives for Australian youth. 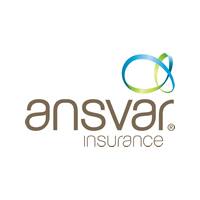 Established in Australia in 1961, Ansvar has built a reputation for providing expert insurance solutions and risk management advice to clients within our core sectors. Ansvar is dedicated to creating long-term partnerships, providing bespoke solutions and offering excellent customer service. Arrow Leadership is committed to community transformation by developing Christian leaders who are led more by Jesus, who lead more like Jesus and who lead more to Jesus. Since 1995, Arrow Leadership has been developing and equipping pastoral and executive leaders in Churches, Not for Profits and Schools. 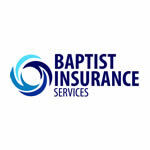 Baptist Financial Services Australia Ltd (BFS) has been operating for over 30 years and provides financial services across Australia to support Christian ministry. BFS is a delegated body of Australian Baptist Ministries; our sole purpose is to resource, develop and enhance Christian ministry. Please contact us to find out how you can get involved in furthering the growth of God’s Kingdom. Barnabas Fund provides practical aid for persecuted Christians, channelling donations “from Christians, through Christians, to Christians” in over 100 countries. We also raise awareness of the plight of Christians living with discrimination, oppression or violence, and encourage prayer for them, as well as speaking out on their behalf. 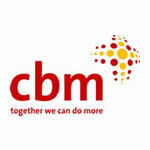 CBM is an international Christian development organisation devoted to improving the lives of people with disabilities in the poorest places on earth. Poverty and disability go hand in hand creating a cycle of inequality, isolation and exclusion. CBM has been following Jesus’ example of inclusion, hope and justice for over 110 years. 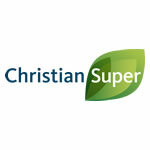 Christian Super is a growing, profit-for-members superannuation fund with 27,000 members and $1.5 billion in funds under management, all ethically invested in line with Christian values. The Fund is a leader in impact investing, with 10% of funds invested to generate both financial returns, and positive social or environmental outcomes. As the only provider of free debt management in Australia, CAP exists to address the problems of poverty and social exclusion caused by unmanageable debt. We provide sustainable poverty relief through a network of local outreach centres, restoring hope and dignity to thousands of Australians overwhelmed by debt and its causes. CMA is a non-for-profit charity who is seeking to advance ministry by maximising the effectiveness of governance, leadership and management in Christian organisations. We do this by offering resources, training, and networking across a range of areas such as governance, fundraising, Staff & volunteer management, finance, leadership, legal & compliance and risk management. The CMA Standards Council’s aim is to build faith and trust in Christian churches, charities, schools and other organisations by publicly accrediting those organisations which meet high standards of governance, transparency and accountability, and as their core element put God first. CMA Standards Council Accreditation is a valuable reputational asset which will help you to become more efficient, trustworthy and effective. 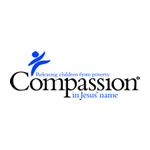 Compassion Australia is part of a global network of both funding and 25 developing countries that is Compassion International. Through our Child Sponsorship Program, more than 2 million children are currently being released from poverty in Jesus’ name. With over six decades of experience, Compassion’s unique approach to solving poverty works: research proves it. CMI provides biblically and scientifically sound answers to questions about origins— affirming Genesis history. We do this through powerful presentations by experienced speakers (including PhD scientists) and supplying resources (including Creation magazine, books & DVDs). Our vision is to see Jesus Christ honoured as Creator and Saviour. EA Insurance Services provides professional Insurance Broking services, including insurance solutions and risk management strategies for Churches, Charities, Missions Agencies, Not for Profits, Colleges and Schools. Our mission is to serve organisations that are changing the world. We believe Christians are called to take risk and EAIS exists to arrange the right insurance protection for those who are stepping out in faith. EASTERN COLLEGE AUSTRALIA provides university quality government accredited teaching, training and research from a Christian worldview. At Eastern, students receive a quality education facilitated by caring, committed Christian staff amongst a supportive community of learners. Eastern College Australia, where faith meets vocation. Whether you’re an independent church, a mission group or any other kind of community-based organisation, Faith Insurance has a built-to-purpose insurance program to cover everything your group or community might need. Make sure you adequately protect your property, assets and people as they carry out their valuable work. Habitat for Humanity is a not-for-profit provider of housing and improved shelter for low-income families. Our vision is a world where everyone has a decent place to live. We build safe and affordable homes aimed at building strength, stability and self-reliance across Australia and the Asia Pacific region. Heartburst creates digital solutions for people who have a passion for what they do. We partner with charities, schools, Christian ministries and churches using our expertise to help communicate their cause and engage their community online. The Global Leadership Summit is fresh, actionable and inspiring leadership content from a world-class faculty at a convenient location near you. Each year, over 5,000 Australians from the Church, business, education, not-for-profit and government sectors grow their leadership capacity through attending GLS at over 25 locations nation-wide. 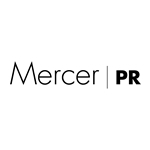 Mercer PR is Australia’s leading public relations company for Christian organisations, specialising in reputation and issues management, media relations and crisis communications. Dealing with media across Australia and internationally, clients include global churches, national ministries and schools, as well as large corporates and industry groups. Mission Travel are experts in all things mission. We partner with Christian missions and NGOs servicing their travel needs. Our friendly staff are known for their exceptional customer service, experience with complex itineraries and mission know-how. We provide Exclusive Mission Fares, connect volunteers to missions around the globe and provide 24/7 worldwide emergency support. Across Australia, community media connects people; it speaks their language; it knows them - and gets them. At the heart of every community Is media that connects, serves, influences and entertains their community of listeners. It’s media by the people, for the people. Media Sales Australia provides a strategic platform for you to reach a national audience with authenticity and purpose. PeaceWise exists to help individuals, organisations and communities learn life-changing biblical peacemaking principles. We teach personal peacemaking and Christian conflict resolution skills, provide help for conflict situations and share the reconciling power of the gospel of Jesus Christ. In addition to our adult materials, we have created PeaceWiseKids as a fully teachable online peacemaking curriculum to help young people learn how to deal with their conflicts in a godly way. We look BEYOND THE NUMBERS is part of our commitment to support your organisation through outstanding professional advice and solutions. 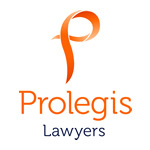 We service many Not-for-Profits in the areas of audit, taxation, accounting and financial planning. Passionate about assisting clients with their mission, Saward Dawson understand the challenges that can be faced. We work directly with clients providing audit, accounting, taxation and other services. 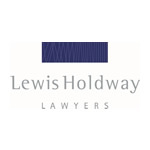 With over 60 staff, we have a broad range of knowledge and experience that is needed to support our clients. SELAH creates experiences for Christians to go deeper in their faith journey. We provide opportunities to intentionally pause and reflect by offering travel experiences, retreats and workshops for Christians to live a life of fullness and purpose. SELAH is brought to you by Mission Travel. SIM Australia mobilises people, prayer and funds to make Christ known. We facilitate missionaries from anywhere to everywhere in a diverse range of ministries to reach the unreached with the Gospel of Jesus Christ. Through partnerships with local churches, we evangelise, disciple and share Christ’s love. Whether you are a ministry, bible society, relief or missionary organisation, developing & maintaining a community of loyal supporters plays a crucial role in your organisation’s success. As a nonprofit you will be faced with the continued need to raise money for operational, and possibly humanitarian and relief work. A thankQ CRM software solution can help you with all your fundraising, donor, membership and volunteer management, ensuring you achieve your objectives.